This year’s presidential political cycle has been one of the most interesting ones in history. going from diversity to division, and to some extent even segregation. This article is my assessment as to what certain groups, based on religion, race, gender, etc. need to look for tonight from the Republican field regardless of whether or not they are Republican or Democrat. It is who I believe would be their best choice if they would vote Republican and only based their vote on matters pertaining specifically to their group. As a Jewish American I will begin there. This is an interesting one because most of the candidates can make some legitimate claim to caring about the well-being of the Jewish people and the security and future of the Jewish people. At the worst of times for Israel, the support from Cruz, Rubio and Huckabee was considerable, while candidates like Trump, Christie and Bush have certainly seemed to be friends more than foes. The one candidate I dismiss out of hand is Rand Paul. That being said, the Jewish people need to look for someone who balances support for Israel for a purely political reason with someone who is all about their Christian values and or evangelism. For me, although Huckabee is a friend of Israel, the fact that his friendship is based so much on his religious values, makes him a guy I like, but not someone I think the Jewish people should choose as president. As far as Trump is concerned, I am quite certain he is a friend of the Jews, certainly since he has a Jewish daughter, but his recent comments about Israel and his choice to punish Netanyahu for saying that he does not support his call for a ban on Muslim immigrants puts him behind the others. Bush, Christie and Kasich are OK, but not outspoken enough in their support. Carson doesn’t make me feel very confident about how he would handle foreign affairs and subsequently isn’t worth the risk. That leaves Cruz and Rubio. During the Gaza War both of these candidates stood strong in their support of Israel, but Rubio comes across more to me as politician looking for the Jewish vote, while Cruz looks like someone unwavering in his support for Israel and friendship towards the Jewish people. His right wing stances on so many other issues has to be taken into account when voting in the general election and yes he is also very Christian in his values, but since I believe his support is based at least as much on his wisdom as his religion, out of the Republicans he seems like the clear choice. Whether or not people of color vote Republican or Democrat this coming election, there is a significance in this election unlike any other. After 2 terms of Barack Obama, making history should be put to the back burner in the coming election. Safety of black communities and economics need to be the priority. The vote usually goes towards the Democratic party, but if it would go Republican here is how I believe it breaks down. With the increasing number of incidents leading to the death of black men at the hands of the police, and I am merely stating it happens not assigning blame, the most important factor to look for in choosing the next president is someone with a level-headed, non-biased approach. Although I am not one of those people who thinks Trump is a racist, the last thing we need in this country to better race relations is someone who shoots from the hip and blurts out inflammatory comments. That kind of rules out Chris Christie as well, not so much because of the comments he makes, but the perception he sometimes creates. As far as Ben Carson is concerned, yes I know he is black, but I’ve heard nothing from him to indicate that he is in touch with today’s reality. I am not saying he isn’t, and I am definitely not the most qualified to speak on this, but to me he sometimes just comes off like another wealthy Republican, which on its own is fine, but as a choice for president for the black community, not so much. Part of what would make a Republican choice so interesting for the black community is that some candidates pull in lumps of white America, even elements that are racist. Tea Party candidates or anti-establishment candidates give a perception of being detached from the minorities in America, subsequently making Cruz, Rubio and Fiorina the wrong choices. When looking at the remaining candidates the one that makes the most sense as being someone who can improve the inner cities while keeping a cool head during tense race-related issues is Governor John Kasich. What he has done in Ohio would strongly help the African-American community nationwide and can’t be ignored. This is an interesting category because although I myself am a white male, I am one of those Jews that base my vote on being Jewish more than being white. To be frank, that is because I personally refuse to make that distinction for myself. That being said there are many white males in this country that do make that distinction without being bigoted or racist just as I often make my distinction based on being Jewish. I know that conventional wisdom and the polls show that Trump must be their clear choice but I don’t know that to be true. Polarization helps no one in this country, and whether or not he intends to be or not, Trump is polarizing. The question has to be asked though. What is the white male’s main concern? Probably the best word to use would be balance. While the concerns of minorities in the country are being addressed, and rightly so, a white American male wants to know that he isn’t going to suffer as a result, not from actions of the minorities, but from neglect by the politicians. Like the Jewish community, there are many in this group who as mainstream Republicans or mainstream Democrats are totally integrated into society and will vote entirely for their personal interests. When it comes to their ethnicity however, the issues are slightly more complicated. With 2 of the top Republicans being of Hispanic origin, Cruz and Rubio, this a community that can also make history. That doesn’t necessarily mean that doing so is the best course of action. Assuming I am correct in saying Trump is not a racist, his comments have alienated him from too many people, Mexicans being second probably to Muslims, for him to install confidence in the entire Hispanic community. The other candidates are pretty non-specific when it comes to this part of American society but may all be good enough to deal with their interests. An argument can be made for John Kasich for the same reasons stated earlier when discussing the African-American community, but in this case I believe something more significant would help. In this case I believe Hispanics should vote for one who is Hispanic as well, partially because I do believe he cares about his history, but even more because I believe the image of who he is would help the Hispanic community. And if we are talking about persona and image, Marco Rubio clearly is stronger than Ted Cruz when it comes to representing Hispanics. Sorry, despite the fact that to some she might be the obvious choice, I am not going to say Carly Fiorina. Just like it is not unprecedented in history to find that the best choice for men can be a woman, most notably Golda Meir and Margaret Thatcher, it is my opinion that the best choice among the Republican candidates for women is a man. The one question for women would be, do you vote as a Jewish woman, a black woman, a Hispanic women, a gay woman, etc.? But since this article is about how I think how people should vote only if they take what they are and or where they come from into account, I will give my opinion on who is the best person for women to vote for based solely on the fact that they are women. Should they choose to vote Republican it is definitely not Donald Trump, as revealed by the comments he made to Megan Kelly and Carly Fiorina. You see I am one of those people who does believe the tone and demeanor of the candidate does reflect the strength of the candidate. Then again I have made some notable mistakes based on that theory, but still. That being said, despite the fact that Ben Carson has viewpoints that the more liberal women would vehemently oppose purely because they are women, the combination of being level headed, diverse and someone who listens to people would have me say that Ben Carson should be the choice of women voters, should they decide to vote Republican, which might be very unlikely considering the Republican candidate will likely be running against Hillary Clinton. If I thought a Muslim takeover of the country was imminent I would recommend Donald Trump, based solely on the fact that gay people under Muslim rule would fare almost as badly as Jewish people would, but since I think that danger, although not entirely unrealistic is a long way away, I think gay people, should they decide to vote Republican, should make their vote based on safety and economics while staying far away from the candidates who have made it very clear they have different plans for their future. Frankly Donald Trump, a New Yorker and therefore exposed to all types of people would likely work better with the LGBT community than many others, but the person I would suggest for this particular group would be Jeb Bush, seeing as he is far less extreme in his conservatism than many others in the pack while still caring about economics and safety. To conclude, there is no scientific study or survey attached to this article. It is purely my opinion and admittedly it is based on the premise that people separate themselves from others based on religion, color, nationality, gender and sexual orientation, something which I ironically find unpleasant and conflicting. You see when it comes time for me to choose my candidate, be it a Democrat or Republican, do I make my choice solely on the fact that I am Jewish and a Zionist, or do I take other factors into account? I am close to my decision and will reveal it soon, but in the meantime it is a source of much inner turmoil. I also purposely chose a different candidate for each group of people, partially because I believe in my logic but partially to underscore the problem facing the Republican Party. That problem being that there is not one candidate that speaks to all the people and only one candidate shouting at some. It also wasn’t an accident that I didn’t pick the shouter as the best choice for any of the groups. Who really cares about us? A long time ago, many moons before Donald Trump became a front-runner and Ben Carson became a competitor and Bernie Sanders became more than just a socialist with a cartoon character voice and Hillary still pretended she might not run, I publicly stated unequivocably that my next vote would be for whatever candidate would be most pro-Israel and toughest on foreign affairs. Not so easy when you realize how badly every one running wants the Jewish and tough guy/gal vote. In some ways it’s not surprising that The Donald’s no-nonsense speak the mind approach has resonated in the halls of the malcontent and straight-talking at least somewhat conservative voters. On the other end of the spectrum, those who either feel world affairs are impossible to resolve or just not as important as our growing internal problems have gravitated some to the socialist ideas of Bernie Sanders or what they see as the safer, more predictable, dare I say nice Democratic Party ways of Hilary. Then there is everyone else vying for the top spot in the most high-profile, time-consuming, expensive and critically important popularity contest the world has to offer. I still believe the future of the entire planet rests heavily on who is elected the next president of the United States. What I don’t claim to know at this point is which one of the candidates is the best person for the job. They all want the job and will consistently say whatever they think the people want to hear. 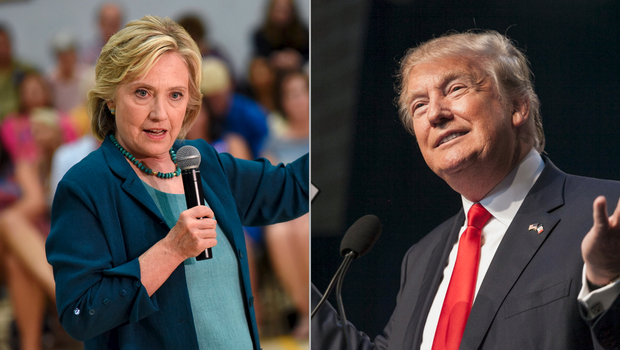 Almost no one enters the presidential race just to get their voice heard for a few minutes. They actually want to win the contest and are scheming to find the best strategy to do so. What this actually means is that whether you like gambling or not, you’re stuck making what at best is just a calculated guess. You really won’t know if you’re right until it’s too late. At that point all one can do is hope that if they made a mistake, it wasn’t one you can’t live with. Is it more than A lot of Hair and Hot Air over there? Let me start by saying I know some very intelligent people, people I like and respect who are supporting Donald Trump for president. This article is not about them. This is about that segment of the general public who whether they care to admit it or not are supporting “the Donald” just because they know more about him and find him more entertaining than anyone else in the presidential field. 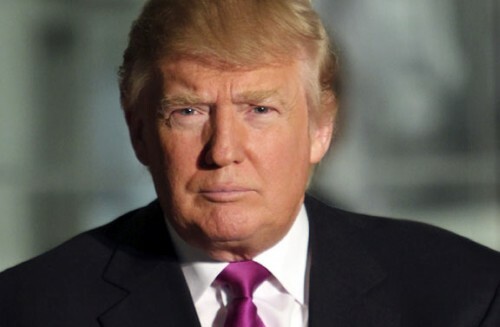 When asked recently by a friend what I personally think about Donald Trump I said, “I like watching him on TV and find what he says occasionally entertaining, but I don’t want him as my next president.” I admit there’s always a chance I can change my mind, but as I sit here today I am fairly certain I won’t. It’s my feeling that when there’s a vacuum left by the lack of any one candidate doing anything to excite the masses, the loudest and most eccentric candidate ultimately will get the most attention. Couple that with Trump’s no-nonsense and tough-talk approach and you have yourself the most talked about and at least today, the number one recipient of positive poll numbers in the entire presidential field. Let’s be honest here. Presidential elections are not won the summer before the primaries have even started. By the time the Iowa caucuses take place in February the Trump phenomenon may be an amusing memory. Then again it’s not impossible that by the time the primaries start there will be little mystery left and Trump runs away from the field. Time will tell, but I tend to believe the final story is far from written. We live in a society where the choice for president is not made on pure qualifications. Like him or love him, the most qualified individual to become president, at least based on positions held prior to running for the office was George Bush Sr. Having been Ambassador to China, Head of the CIA and Vice President for 8 years, it was hard to have a better resume when running for president. That by no means he was the best president, it doesn’t even mean he was a good one, it just means it’s the only time, at least in my lifetime, that someone with the strongest qualifications, at least on paper, won the general election. So what wins presidential elections? Mainly popularity and familiarity. Already an appreciated television personality, Donald Trump is fun to watch. Even if you hate what he says, just as you hate to drive past a terrible car accident on the highway, you just can’t help but look. And look again and again. It may be awful, but it is also fascinating. If you can ignore the perceived demeaning of Mexicans and women, Trump is fascinating without the awful. Whether you like him or not. So what does it say about American society that Donald Trump is all the rage? Well first let me say that I love America and its people as much as anyone. That being said, it doesn’t say anything good. Even the intelligent people I spoke of earlier who support Trump are doing so out of serious concern or anger over the current state of affairs in the country and the rest of the world. By no means am I saying they are wrong to have that concern and even anger, I’m merely stating the fact that their support for Trump is based in the negative as opposed to the positive. The remaining, and I believe the largest percentage of Trump support is based on familiarity and entertainment. They know the hair, the image of “the Donald”, and they enjoy hearing his straight-shooting tough talk. For many, whether they admit it or not, they don’t need to like or even understand what he is saying as long as they like how he is saying it. What it also says is that for those looking for answers in the Republican pack, there are not many separating themselves from everyone else. It makes me think of the Bruce Springsteen song, “57 Channels and nothing on”. 17 candidates in the field and with the exception of Trump and Ben Carson no one is doing anything to distinguish themselves in the Republican field. In the Democratic field Hillary Clinton has been stuck having to talk a little too much about emails while being challenged by the very left-wing Bernie Sanders. While Sanders is having his moment in the sun and becoming a little more well-known than he was before the campaign started, Clinton is laying a little low and waiting it out. A smart move as Republicans beat each other up and distract the masses from the issues her opponents are trying to bring to front and center, Bernie Sanders has his 15 minutes of presidential candidate fame and Joe Biden keeps us hanging. So with all this said do I believe Donald Trump is going to be the next president? Maybe. Do I think it’s the worst thing that could happen. To be very honest, despite the fact that I don’t want him to be, the answer is no, it wouldn’t be the worst thing. That is a status I give to the idea of a Rand Paul presidency, a possibility basically destroyed by Donald Trump’s candidacy. I actually believe that when you look throughout history at how struggling nations picked their leaders in tough times, if America chooses Trump it’s not THAT bad compared to what other nations throughout history have done with angry or concerned votes. After all we’re not looking at a fascist looking to wipe out an entire segment of society, just someone feeding into societies fears and discontent. Not a good thing, but it could be worse. For the record, I still believe that the general election will be Jeb Bush against Hillary Clinton even knowing that Trump against Biden is not yet out of the question. Bottom line is it’s too soon to know. Which goes back to what I said earlier. Presidential elections are not won the summer before the primaries even start. Right now all we know for sure is that we are watching the Donald Trump show. Something that may entertain people now but doesn’t elect a president.